August the 15th is an important holiday in Italy. It has at least Roman origins and its name, Ferragosto, is a derivation of the Latin Ferie Augustæ (holidays of emperor August). Later the Catholic Church decided to remember with this holiday the Assumption of Mary. As usually me and some friends did a little trip. Little, because we just couldn’t organize ourselves and we decided to leave quite late in the morning! Because of this situation we decided to go in a place nearby our town. Luckly we happen to live in a lovely region of Italy, Umbria, which is full of both natural and human made beauties for everyone to admire. 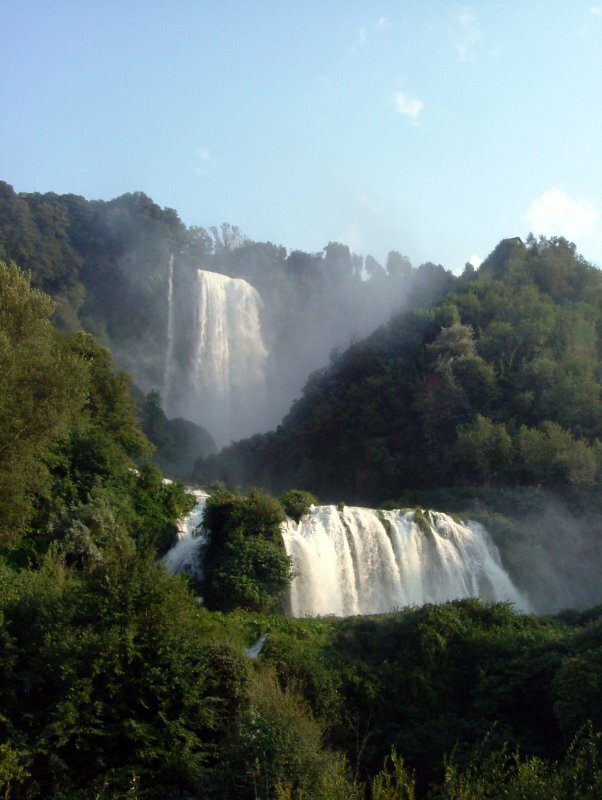 Few kilometers away from our town there is something that somehow belongs to both categories: Marmore’s Falls. 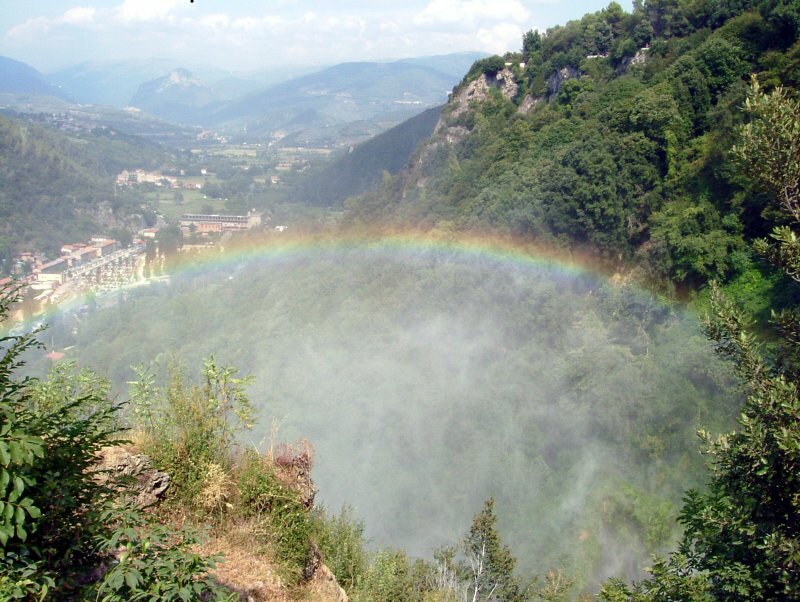 In our visit we followed some of the paths prepared for the tourists, starting from the panoramic viewpoint on the top of the waterfall; from there you can see the valley and the hills all around, a great landscape. While going down, we especially appreciated a viewpoint near the main water mass: the Lover’s Balcony, called this way only because people that are crazy or in love (assuming that there’s some difference between the two ) would go through it; in fact, the price to pay to get so near to the waterfall is some heavy rain all around! All considering it wasn’t bad at all, given the hot weather. 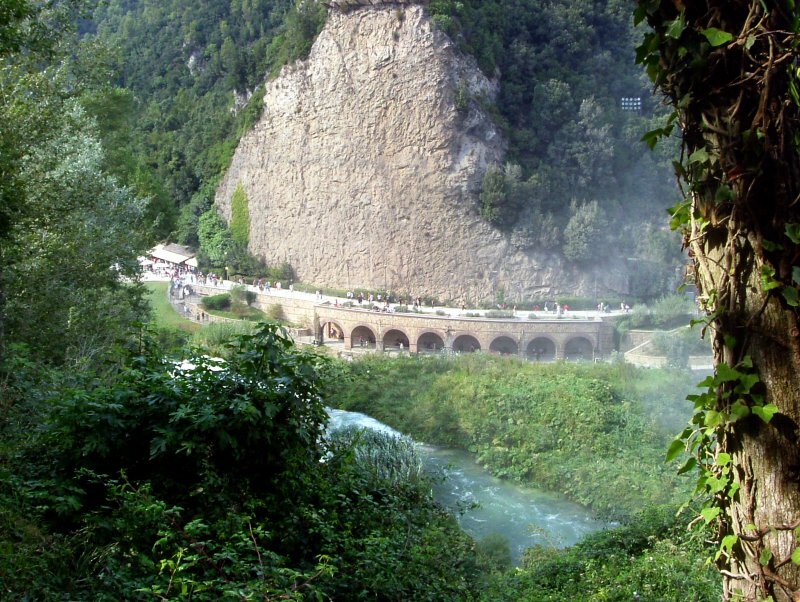 On the bottom there are other paths and an area called Byron square: from those places you can get a wonderful view of the entire waterfall, a scenographical show of rare beauty. 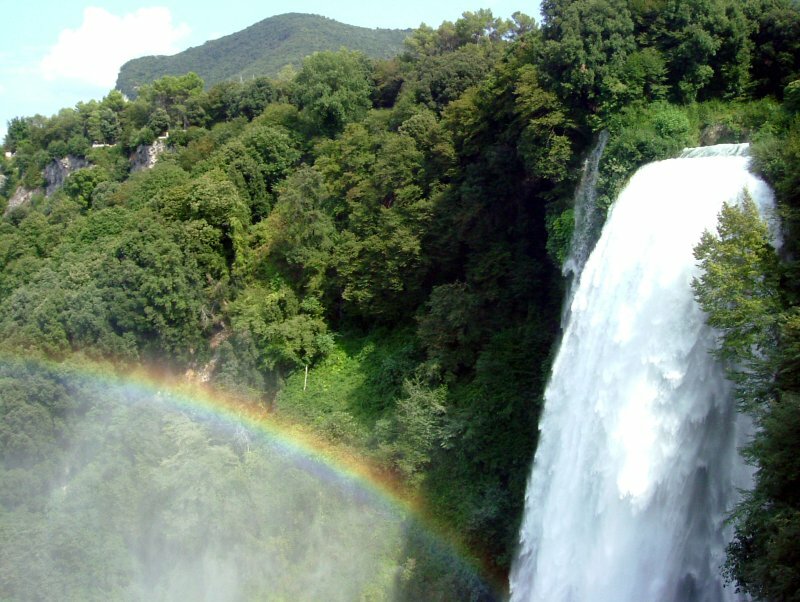 If you happen to be in Umbria, near the city of Terni, I really advice you to take a day to visit Marmore’s Falls, you won’t regret it!